- While Facebook has consumed recent information manipulation scandal head-lines, the illicit activities behind Google make Facebook pale in comparison. - Tens of thousands of news articles and federal reports confirm that Google receives a very large sum of assets and cash from the intelligence community monthly. - While Google pitched the government on Google’s ability to ‘help catch bad guys’, that is, in fact not what Google is doing with the money. Almost every attempt to use Google technology at the CIA, DIA and NSA has resulted in either 1.) spectacular failure or 2.) wild goose chases. 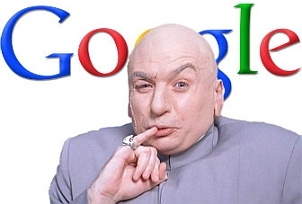 - Google operates one of the largest ‘Pass-Along Payola’ scams ever deployed. In this scam 1.) Taxpayer money from The Treasury is, 2.) ...Given to crony corruption insider Google, 3.) ...Who then conduits the money, as covert campaign funds, to the corrupt political officials who got Google the government deals in the first place. - The Google Pass-Along Payola scam is endless, getting bigger and requires Congressional action to break the chain. - Google has paid off SEC, CFTC , FCC and FTC officials for protection. - There are over 100 ex-Google employees and deeply credentialed experts who can testify to these facts but they have been blockaded, by Google lobbyists and dirty politicians, from public testimony. - For example, Dr. Robert Epstein, James Damore, Ronald Robertson, Laura Ingraham and a host of others, have publicly offered hard facts proving the assertions herein but they have never been interviewed by Congressional staff in an office not under surveillance or in a live televised Congressional hearing. A full disclosure of what these ‘over 100’ people know would put Google out-of-business rather quickly. - Google pitched government officials about their ability to ‘...start and operate a political revolution in any venue, domestic or overseas, cause members of the public to become angry enough to kill targeted other members of the public and create and operate these effects in an undetectable manner using subliminal psychological manipulation tricks amplified by Google’s control of the internet connected to the mass population...’. This means that Google has admitted to rigging elections and politics. - While that service premise may cause concern at first read, what should cause even more concern are the dossiers and psychological profiles of Google’s Eric Schmidt, Larry Page, Jared Cohen, and Sergy Brin. Their deeply emotional involvement in their shared personal politics combined with their utter disregard for the law makes one wonder about how far they will go in their ‘means justifies the ends’ cult like devotion to ‘The Google Process’. - Google used these tactics and technologies to place Barack Obama in the White House. That is why the Obama White House was so deeply staffed by Google employees and executives. Senior FBI and CIA officials, like Comey and Brennan, knew of this and covered it up. - If you look on PACER.GOV you will see that Google has an extraordinary number of lawsuits filed against it for stealing the technology of others. Many of these lawsuits refer to Google as a racketeering "cartel'. Google has no concern for the law, business ethics or the rights of others. The Google cartel owns hundreds of front operations disguised under different high tech names. - A fictional mega spy database called 'The Beast' is often referred to in TV shows but a version of 'The Beast' actually exists. Google formed it to exchange privacy abused user data with Amazon, Linkedin, Facebook, Twitter, Snapchat, Taleo, Axciom, etc. for election manipulation purposes. - The most critically important point and the key take-away here is this: Google bosses have built a system to subliminally control the impressions of the public, spy on the public for political control and operate a self-sustaining government payola scam and they do this with impunity, zero monitoring and in one of the grossest violations of morality and human rights ever conceived. - The next most critical take-away here is: If you are an average person, it is technically nearly impossible for you to comprehend or notice what the crimes are that Google is doing. That is the magic of their scheme. - We swear, warrant and certify that these facts are true and accurate and will so testify before Congress with proper witness protection and legal resources! On the topic of privacy, his initial research suggests that Internet users are divulging nearly 40 percent more personal information online than they would if knew more about how that information might be used. He and collaborator Ronald Robertson have found that the typical "Terms of Service" (TOS) warning has no impact on behavior and therefore is useless as a warning. Adding a requirement that people click to acknowledge the TOS message creates a deterrent effect; adding a strong, explicit warning to the TOS message increases the effectiveness of the deterrent. Regarding elections, Epstein and Robertson have found in multiple studies that search rankings that favor a political candidate drive the votes of undecided voters toward that candidate, an effect they call SEME ("seem"), the Search Engine Manipulation Effect. As a result, Dr. Epstein has called for the regulation and monitoring of search engines. Without equal-time rules of the sort that protect political candidates in other media domains, he says, biased search rankings exercise undue influence over voter's opinions - influence that cannot be counteracted by individual candidates but that can easily determine who will win a close election. Epstein and Robertson's la ndmark report about SEME, published in the Proceedings of the National Academy of Sciences (PNAS) in 2015, can be downloaded here. As of January 2018, it had been downloaded more than 90,000 times from PNAS's website and was ranked by PNAS to be in the top 1 percent of all reports the organization monitored in all the sciences. Dr. Epstein's Politico essay, "How Google Could Rig the 2016 Election," can be downloaded here. Dr. Epstein's preview of his upcoming book, "The New Mind Control," published in Aeon magazine - which has been viewed more than 250,000 times - can be downloaded here. To view Dr. Epstein talking about SEME on the Larry King Show, click here. To view a comedy sketch about SEME on the RT network, click here. Dr. Epstein also recently discovered a simple yet powerful way that search suggestions can be used to shift opinions and votes, an effect he calls the Search Suggestion Effect (SSE). An initial report about his research on this topic can be viewed here. In a series of articles in distinguished publications - "Google's Dance" (TIME), "Google's Gotcha" (U.S. News & World Report), "Google's Snoops" (Dissent), "The New Censorship" (U.S. News & World Report), and other essays - Dr. Epstein has also been critical of various aspects of the operations and business model of Google, Inc., which he says pose a serious threat to civil liberties.